Medical marijuana has made frequent appearances in the local news headlines over the last few years as the program has been wrought with controversy over long delays and alleged unfair awarding of grower licenses. Litigation further threatens a successful launch of the program within the next year, but there is a sleeping giant lurking that could render all the back and fourth of the last three years moot. Legalizing marijuana would instantly make an afterthought out of the medical marijuana program, which would essentially become the minor leagues. While marijuana has numerous legitimate medical uses and can work wonders for patients, a large portion of the medical card holders will inevitably be made up of recreational users who obtained a card to be able to legally do something they enjoy. There is no way hundreds of investors would put up millions of dollars to chase massive profits if their customer base was limited to those with an actual medical need for pot. The second marijuana is legalized most users will have no use for the medical program, save for the few diehards that would keep or obtain their cards to have access to a wider range of products at a cheaper price like in other states. It now seems as if Maryland is finally about to take the first step toward making legalization a reality. This week lawmakers from both the Senate and the House of Delegates are expected to introduce legislation aimed at regulating and taxing the legal sale of recreational marijuana in Maryland. It’s a step that should have been taken years ago had lawmakers not been preoccupied with righting the sinking medical marijuana ship. The bills are currently in the process of being drafted, but they will likely consist of regulations similar to those currently in place with respect to the sale and consumption of alcohol. The age to legally use pot would be 21 and it would be illegal to consume it while driving. Adults could possibly be allowed to grow their own plants but there would be a likely cap of 6 plants with 3 being mature, and prior convictions for possession over 10 grams would be eligible for expungement. A separate law will likely be dedicated to taxing pot sales, with the State Comptroller’s Officer being tabbed with that responsibility. As much as half the profits from tax revenue could go toward public school funding, with other portions going to drug treatment and DUI prevention and education. The tax rate could be similar to the 9 percent rate currently in place for alcohol. The House is also planning to introduce a bill that would make marijuana legalization a referendum question on the 2018 election ballot. This would put the decision to legalize into the hands of the voters similar to what was done with gambling in 2008 and 2012. 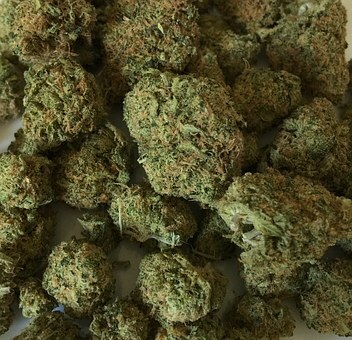 Polls within the state show an increasing percentage of citizens support the legalization of marijuana, with the latest numbers being above 60 percent. The time is certainly here for legalization to be seriously debated in Annapolis, and the Blog will post an update after these bills are officially introduced. 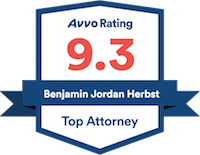 Benjamin Herbst is a drug crimes lawyer who represents clients charged with possession and manufacturing of marijuana. Contact Benjamin for a free consultation anytime at 410-207-2598. Should legalizing marijuana be on the ballot in Maryland, baltimoresun.com.